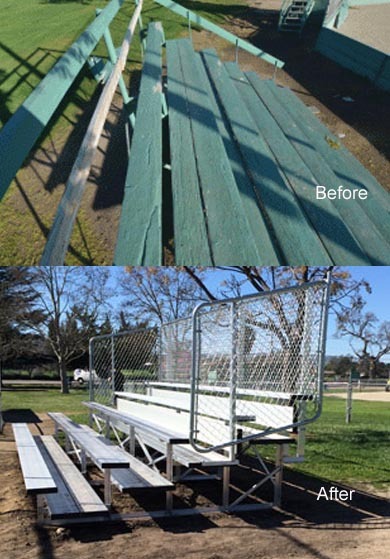 Paso Robles Youth Baseball volunteers raised enough money to purchase two new bleachers for Sherwood Park‘s Bynum Field. The league had a grand opening ceremony that kicked off the sports season and unveiled the new bleachers early in March. 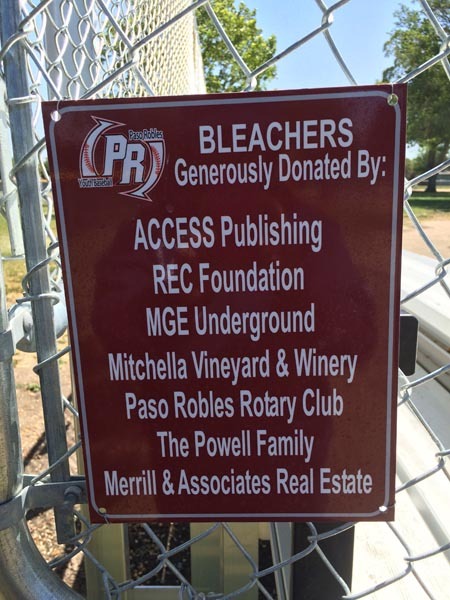 The group raised a total of $8,588 in donations from the community, according to Paso Robles Youth Baseball Executive Board President Tom Seidel. Access Publishing donated $700 towards the project. Seidel said that there approximately 500 children from 4 through 12 years of age that participate in the youth baseball from February through June each year, but the facility is used during the off season by other leagues and groups. There are now four fields at Sherwood Park: a new field, a practice field, Bynum Field and one other.